The premier sports chiropractic center in Fort Wayne, Chiropractic Sports Medicine, Fort Wayne opened in the spring of 2014 by Dr. Dustin Sherman, DC. 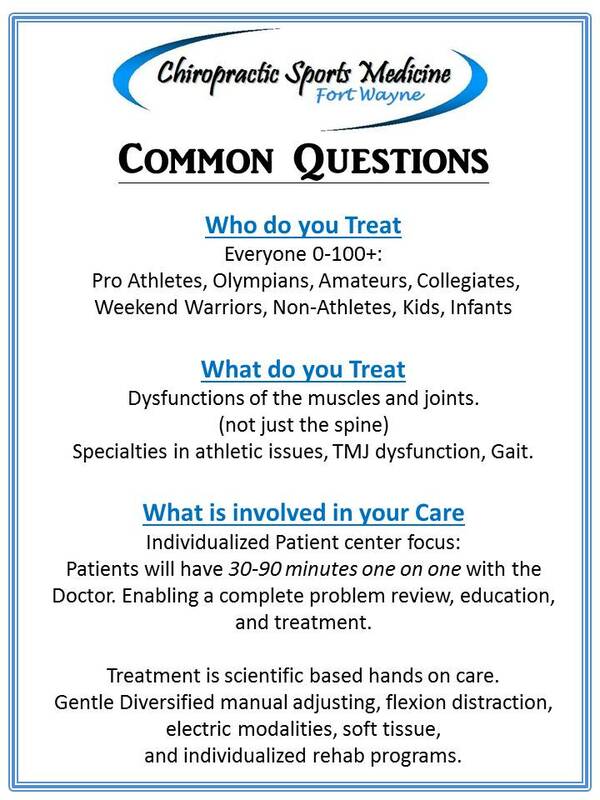 The main focus at Chiro Sport Fort Wayne is to not only treat the immediate symptoms but to also fix the actual cause. The difference you will find here is attention to the patient, the actual amount of hands-on time with the doctor, the amount of information you will leave with, and the level of modern scientific care. So if you are fan of chiropractic, new to chiropractic or even have had a bad experience consider stopping by as you might find a new home here at Chiro Sport Fort Wayne! Dr. Dustin is proud to be the Chiropractor for IPFW Athletics!